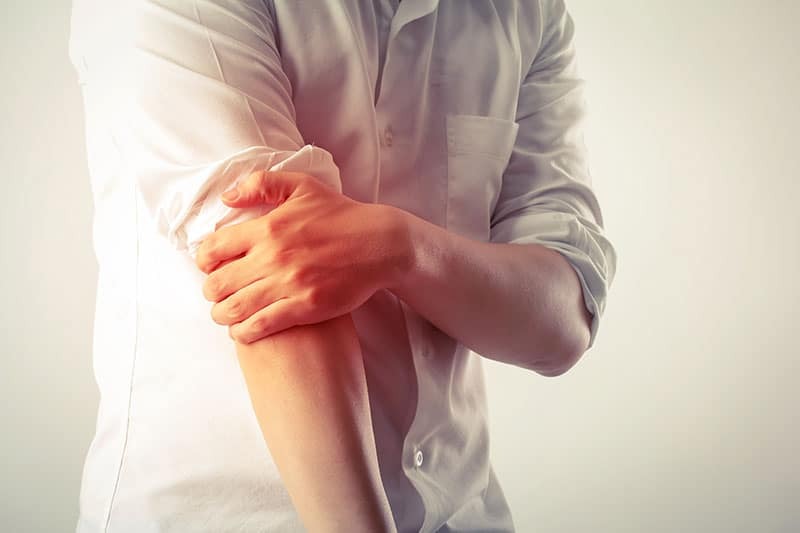 Tennis elbow, also known as lateral epicondylitis, is a common inflammatory condition of the upper body where pain symptoms present as outer elbow and arm pain. The injury typically occurs with overuse of the arms, forearms, and hand or with any sudden injury to the extremity (1). This can lead to a tearing of the extensor carpi radialis brevis tendon at the elbow joint. The initial pain sensation is gradual and is experienced mainly on the side of the elbow or on the tendon attachment just below the elbow joint’s bony prominence. Examples of activities that involve repetitive motions and predispose a condition of lateral epicondylitis include, the continuous backhand swing while playing tennis, weight lifting as well as typing, just to name a few. The pain will intensify with normal activities of daily living (ADLs) such as lifting, gripping or shaking hands, twisting movements of the forearm and straightening the wrist. 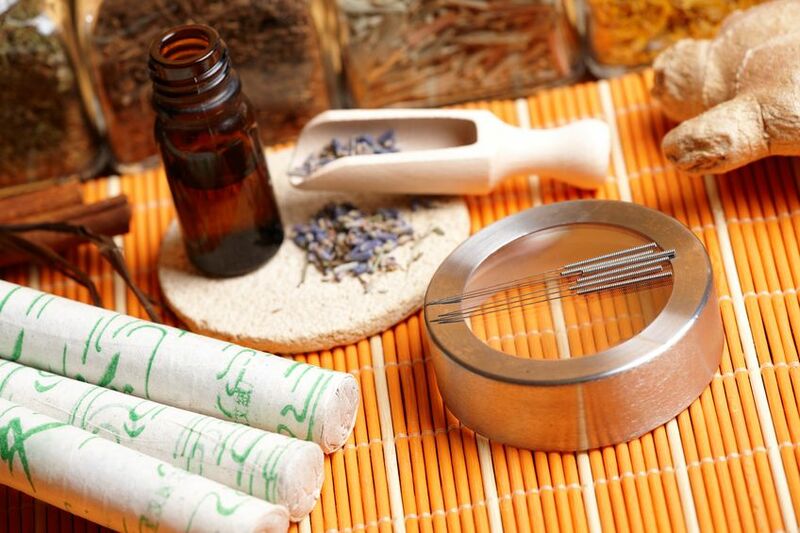 Acupuncture and moxibustion are two main modalities which, when combined together, will effectively heal the tissues and tendons of the elbow, slowing down the inflammatory process and thereby increasing pain relief. It is noteworthy to emphasize that any form of inflammation resulting in pain will progressively become worse if the activity causing it is allowed to continue. A period of rest is fundamental in treating this condition so that the microscopic tears in the involved tissues and tendons are given a chance to heal. In achieving a pain-free outcome, a 2-4 week rest period or break from the activity is highly recommended as part of your plan of care. Acupuncture as part of Traditional Chinese Medicine (TCM) is increasingly being used to treat various types of musculoskeletal and joint pain syndromes. Whether an acute or chronic issue, TCM views it as being caused by a blockage of well oxygenated blood flow to the area (traditionally called “Qi and blood stagnation”) which leaves the body tissues undernourished and essentially depleted of the nutrients necessary to function and perform. Acupuncture points are selected following diagnosis of the underlying root cause of this condition and can be located along the arms or near the knees for example. In general, the tendons of the body are not highly vascular, meaning they possess a lower amount of blood microcirculation compared with other muscle groups. This decreased microcirculation directly affects the elasticity and healing capability of the tendon. By stimulating specific acupuncture points with very thin acupuncture needles, we are able to effectively increase blood circulation to the tendon, thus regulating and facilitating the body’s natural healing process. To help relieve local pain and inflammation of the elbow, the TCM modality known as Moxibustion or “moxa” for short, is implemented concurrently with acupuncture as previously mentioned above. This is a form of heat therapy that utilizes the herb Mugwort to warm the elbow region. You can expect a typical course of treatment for this condition to range from 2-3 treatments per week for three to five weeks depending on the severity and chronicity of pain. Each patient case is unique however, and therefore will be met with an individualized approach to care.